The BG Saxophone Harness can be used with Alto or Tenor saxes and keeps your instrument safe and secure whilst you play. 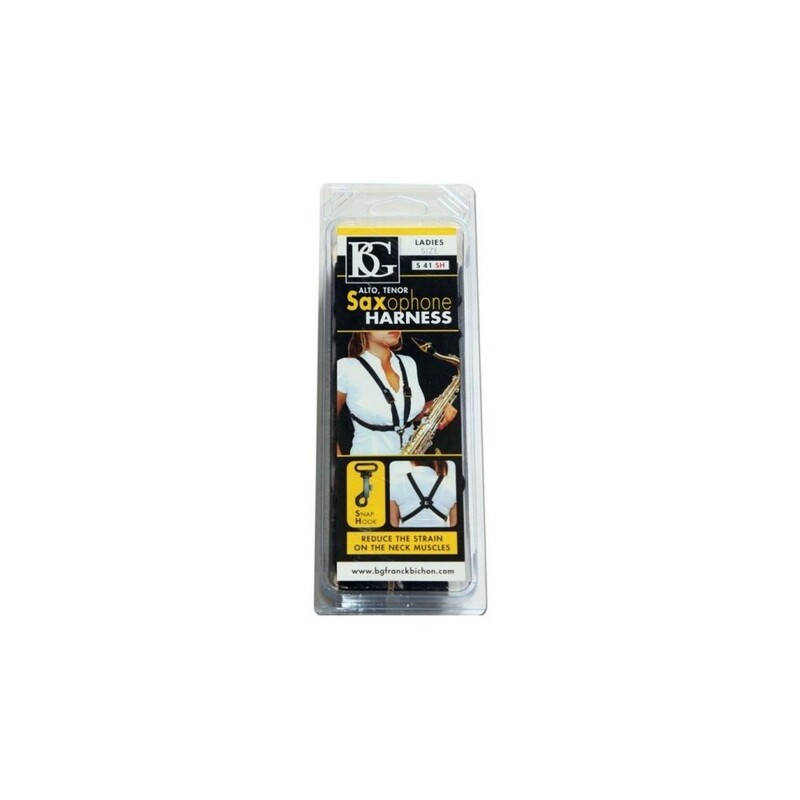 The snap hook fastening remains firmly shut and the cross strap design reduces possible strain on neck muscles. The harness has revolutionised how the musician lives with his or her instrument, allowing men, women and children to enjoy their musical instruments without pain or discomfort. 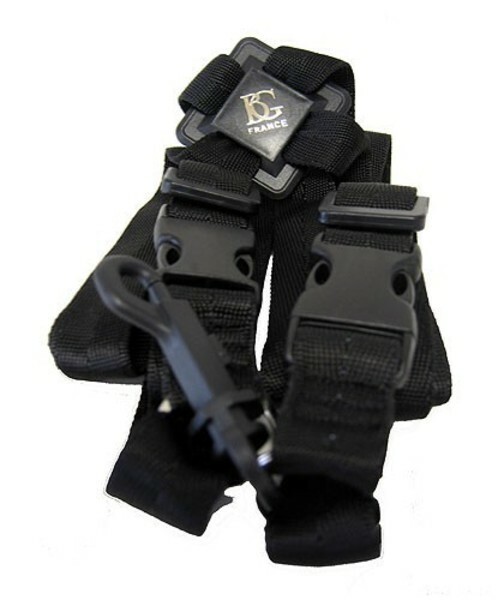 This BG Saxophone harness has a crossed back for full support and comfort. It goes over the shoulders and down the front of the chest with adjustable length. Two further straps go around the body from back to front and are fastened with clips. They all meet in the centre front with a plastic snap hook.